The problem with learning how to blog isn’t that there’s not enough information about it. On the contrary; there’s an avalanche of it! It can feel overwhelming and daunting to try and figure out which sources to trust and which advice will work for you. So you’ve been researching blogging courses to try and simplify the process and filter out the noise and have come across lots of Elite Blog Academy reviews online. They’re mostly raving reviews, but you’re still wondering… is it right for you? After all, very few things in life are one-size-fits-all. Except maybe a really cute infinity scarf. Or Snuggies (remember those?!). 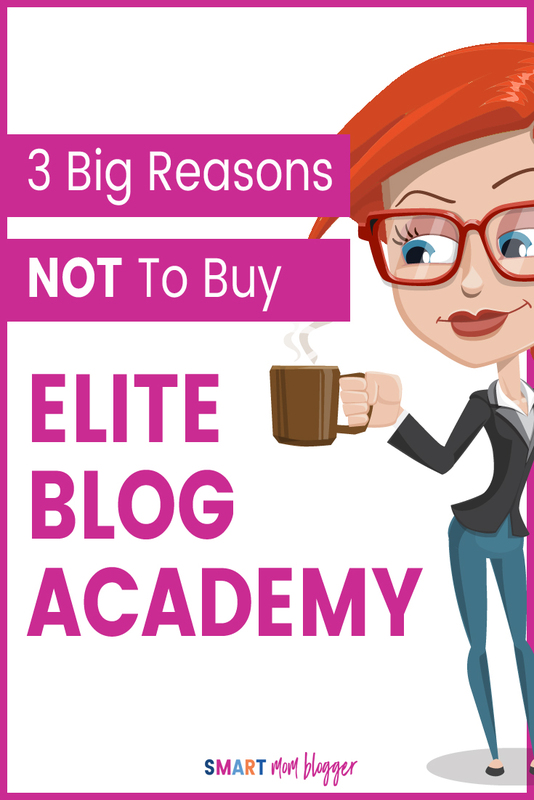 I invested in Elite Blog Academy (EBA) last year, and even though I highly recommend it in most cases, it still might not be for you. 1. Commit time each week to learn and apply the lessons? Remember, “if it’s not on the calendar, it doesn’t exist”. Can you commit to hard-scheduling in a minimum of 30-90 minutes each day? This means writing it into your Google calendar, Living Well Planner, or whatever other scheduling system you use and treat it like an appointment with a specialist that takes 6 months to re-schedule if you miss it. 2. Overcome your “I Know This Already” mindset? The EBA program is simple and practical, but you will absolutely be surprised by what you didn’t know you didn’t know (make sense?). Can you eat a slice of humble pie and commit to giving every lesson your 100% attention, even if you think you know all about it already? 3. Resist chasing after squirrels? Every time you scroll through Facebook or Pinterest, there will be things promising you a shortcut or “brand new” way to achieve blog growth and profit. Can you put your blinders on while you’re going through the Elite Blog Academy program and commit to following the system through to the end before chasing after another squirrel? My #1 Big Takeaway from EBA: Blogging profitably really is simple if you have a solid plan to follow and the commitment to make it happen. If you’re looking for an all-in-one blogging program that will take you from frustrated and overwhelmed with your blog to profitable and peaceful, and can overcome the roadblocks mentioned here, then EBA is absolutely what you’re looking for.